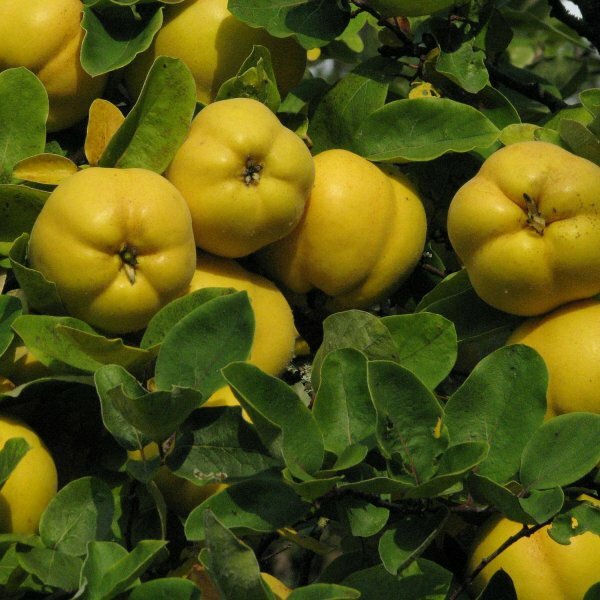 Chaenomeles is a genus of three species of deciduous spiny shrubs, usually 1–3 m tall, in the family Rosaceae. They are native to eastern Asia in Japan, China and Korea. These plants are related to the quince (Cydonia oblonga) and the Chinese quince (Pseudocydonia sinensis), differing in the serrated leaves, and in the flowers having deciduous sepals and styles that are connate at the base. 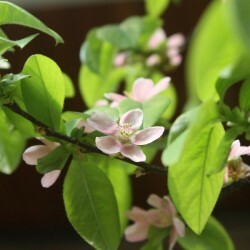 The leaves are alternately arranged, simple, and have a serrated margin. The flowers are 3–4.5 cm diameter, with five petals, and are usually bright orange-red, but can be white or pink; flowering is in late winter or early spring. The fruit is a pome with five carpels; it ripens in late autumn. The species have become a popular ornamental shrubs in parts of Europe and North America, grown in gardens both for their bright flowers and as a spiny barrier. 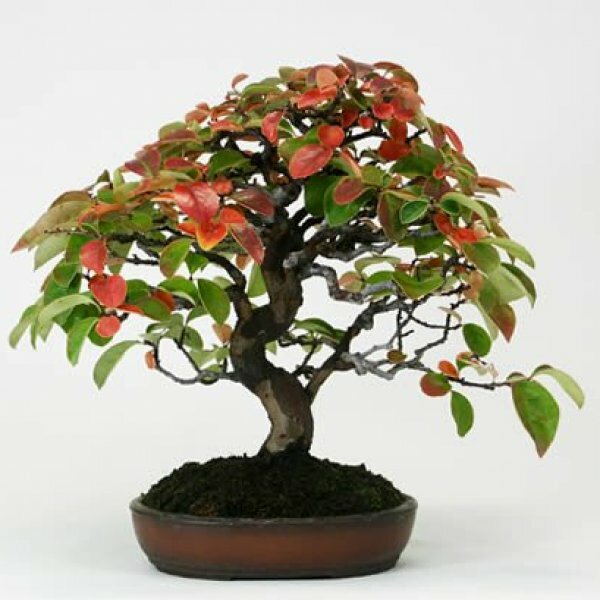 Some cultivars grow up to 2 m tall, but others are much smaller and creeping. They are also suitable for cultivation as a bonsai. Germination -	Moisten 1/2 cup or about 1 handful of peat moss. 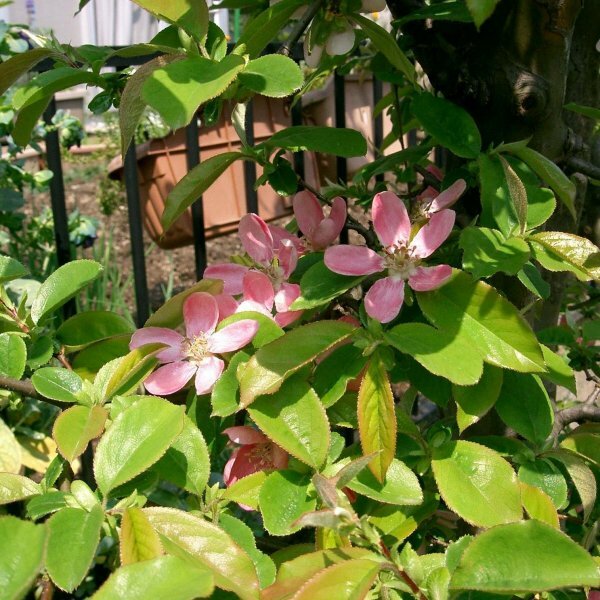 Place the peat moss into a sealable container or a zipper top plastic bag.<br /> -	Place the flowering quince seeds into the bag or container of peat moss, then set in a cold location. The back of your refrigerator with the temperature set between 35 and 40 degrees Fahrenheit is ideal.<br /> -	Remove the bag or container from the refrigerator 90 days later and plant the seeds.<br /> -	Fill up 1-gallon plastic planting pots with a good quality potting mix to about an inch from the rim.<br /> -	Poke two holes, each 3/8 inch deep and spaced 2 inches apart, in each of the gallon pots. Plant one flowering quince seed into each of the holes. Scatter approximately 3/8 inch of potting soil over the seeds.<br /> -	Set the pots in a sheltered location away from direct sunlight. Keep the flowering quince seeds moist so the soil is wet but not soggy. Germination can be lengthy, often taking four to six weeks.<br /> -	Transplant the flowering quince into permanent locations the following spring. Be sure to provide the seedlings protection over winter; bring them indoors or set them in a temperate location.